The goal of the Fogarty HIV Research Training Program is to strengthen the human capacity to contribute to the ability of institutions in low- and middle-income countries (LMIC) to conduct HIV-related research on the evolving HIV-related epidemics in their country and to compete independently for research funding. 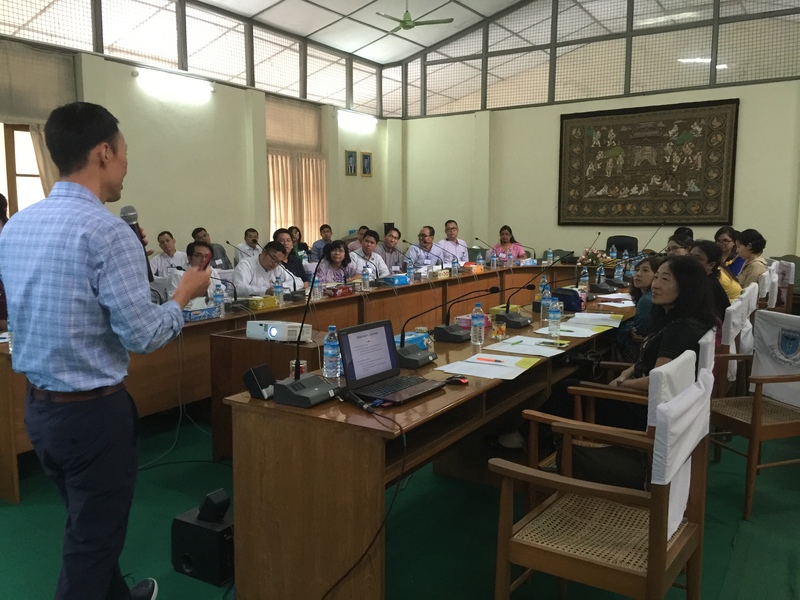 Currently, the Fogarty Program includes Cambodia, China, Myanmar, Thailand, and Vietnam where country-specific HIV training programs provide education for professionals from several nations in Asia to complete master’s and doctoral degrees in the epidemiology of HIV or to receive short-term training opportunities as visiting scholars. In partnership with collaborating countries, UCLA plays an important role in developing the HIV leadership in East and Southeast Asia. In the wake of an HIV/AIDS epidemic in the 1990s, the Cambodian government initiated national data collection and disease monitoring efforts that have produced rich, longitudinal data from HIV/AIDS treatment and surveillance programs. However, a shortage of professionals trained to manage and interpret these types of data, persists. The UCLA Department of Epidemiology and the Cambodian University of Health Sciences (UHS) created a program with two tracks for trainees: UCLA MS/MPH track and UCLA PhD track. The overall program will be assesed based on trainee progress and matriculation rates; thesis/dissertation quality, policy relevance and the proportion published; the program’s impact on UHS recruitment rates and trainee placement in national HIV/AIDS monitoring and data analysis roles. Despite implementing comprehensive nationwide data collection, China lacked enough well-trained research personnel to be able to analyze these large data sets. As a result, the Chinese Centers for Disease Control (China CDC) and the UCLA School of Public Health (UCLA SPH) created a two-track program to enhance the research capability of the China CDC, which is now in a position to take an active role in collaboratively providing advanced training in research methodology. The program includes PhD students from both the China CDC and UCLA. Faculty from both UCLA and the China CDC will serve on the doctoral committees of both the UCLA and China CDC trainees. Under the proposed shared training program, UCLA will support the activities at UCLA and the China CDC will support the activities in China, including the PhD program. Isolation of Myanmar from the global community for more than 50 years has prevented contemporary training in advanced research methodology for doctors and scientists in Myanmar despite having one of the worst epidemics of HIV/AIDS in Southeast Asia. The UCLA Department of Epidemiology will collaborate with the Myanmar University of Public Health (UPH) to address this need. UCLA will provide training for six master’s of science trainees, as well as nine months of training in research methodology at UCLA for ten senior faculty of UPH and the AIDS Control Program. Candidates for the UCLA-based programs will be recommended by the Myanmar UPH faculty on the basis of their academic records, commitment to HIV and public health research, and intention to promote the health of the people of Myanmar. The UCLA Department of Epidemiology will assist the Division of Epidemiology of the Thai Ministry of Public Health to enhance research capacity by training four MS candidates, two PhD candidates, and three short-term postdoctoral trainees at UCLA. The degree candidates will conduct their field research for their theses and dissertations in Thailand under the supervision of the Thai faculty members. Topics include strategies for communicating public health messages, strategies for implementing community intervention programs, modeling for disease burden, assessment of intervention strategies, mobile phone and internet technologies for data collection, program monitoring, coordination and supervision of staff, and evidence-based behavioral interventions. Candidates for the UCLA-based programs will be recommended by the Thai faculty on the basis of their academic records, commitment to HIV and public health research, and intention to promote the health of Thais. 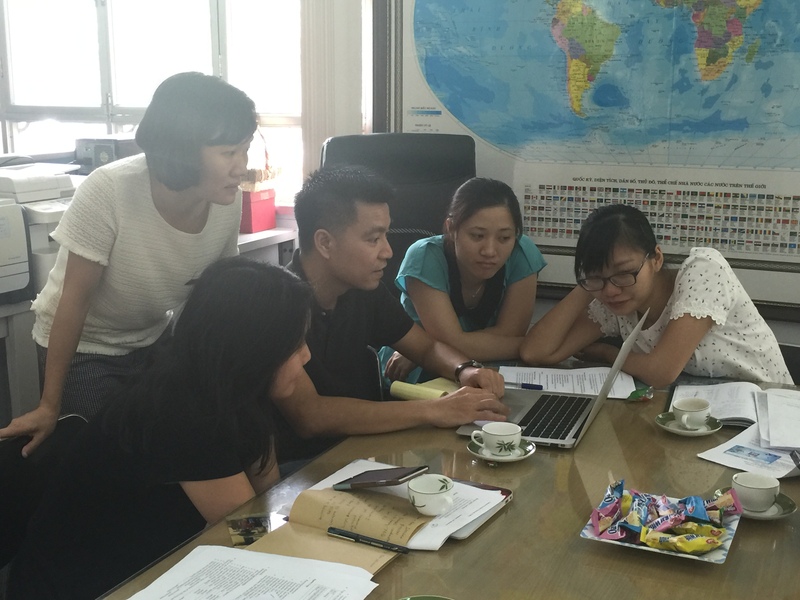 The UCLA School of Public Health and the Hanoi Medical University (HMU) in Vietnam are collaborating on a training program providing academic training at UCLA for MS and PhD trainees from Vietnam. 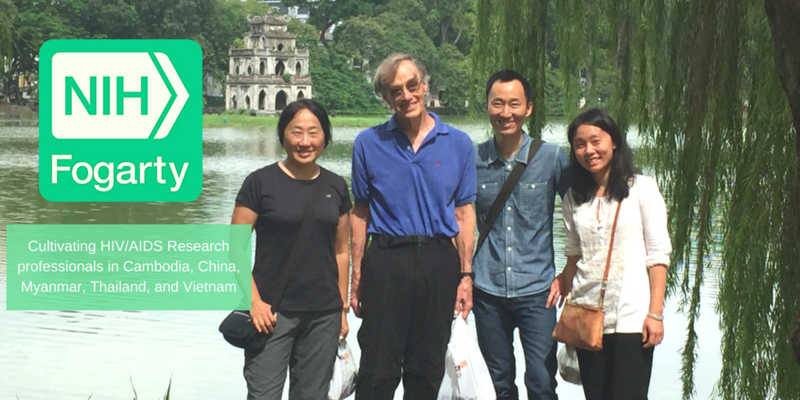 The fieldwork for the MS theses and PhD dissertations will be conducted in Vietnam, and will be mentored by UCLA and HMU faculty, members of the Training Advisory Committee (TAC), and certain graduates of the previous UCLA/Fogarty AIDS International Training & Research Program (AITRP). In addition, the program will provide nine-month postdoctoral training at UCLA for senior faculty members from HMU. Upon completion of the nine-month training, UCLA faculty will collaborate with HMU faculty to conduct in-country summer institutes and workshops on community-based interventions, implementation science, program monitoring and evaluation, research ethics, cohort study design and evaluation, advanced data management/statistical analysis, and grant writing and management. The program will contribute to addressing the critical gap identified by the National HIV/AIDS Program and help to strengthen the sustainability and quality of HIV research and control programs in Vietnam.